Since starting this week, I'm branching out to desserts other than just drinks, I'm beginning with the Apple Crisp. There are many ways to make this dish, but I am sharing the recipe from the Food Network. Preheat oven to 350 degrees F. Mix all the ingredients together. Place into 7 to 8-ounce ramekins. I always order an apple crisp dessert when I'm at Applebees or TGIF's. Omg this doesn't seem that hard!!! I'm soo bookmarking this page!! looks extrem yummy, i need to try it!! Oh yum! I love this fall treat for sure! Looks delicious. I hope this finds you doing well. I've had a rough week. I got laid off from my job on Tuesday. Now I've got to try to find a new one in such a bad economy. Wish me luck. Thanks. Take care. Enjoy the upcoming weekend. Apple crisp and vanilla ice cream is one of my favs. Ha, thanks for spoiling my lunch. Apple crisp is one of my all-time favorite desserts! This one looks sooo delectable. I love apple crisp, I have one recipe that uses oatmeal. It's super yummy with ice cream. 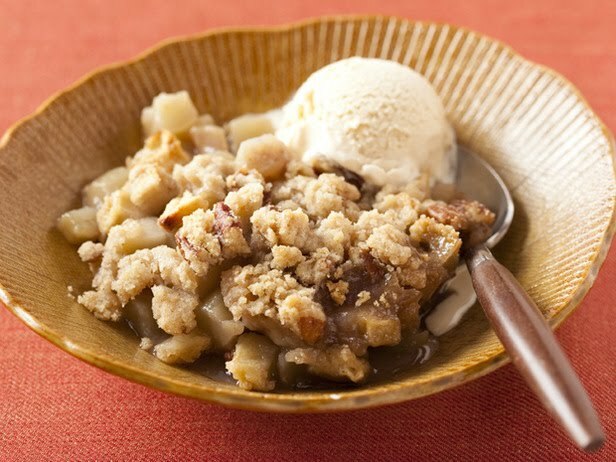 Mmm, I love apple crisp! So yummy! oh this looks delicious. i actually just had something just like this at a restaurant yesterday--with caramel too. it was so good! I love this dessert, at home we call it Apple Crumble, with the topping more crumbly... i like to slap on the custard or icecream too, how lardy?! Oh this looks so yummy! Thanks for sharing, Audrey! 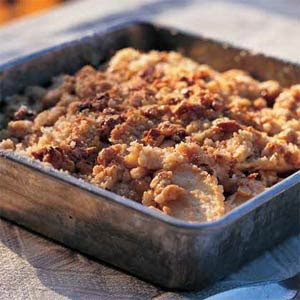 Oooh, this looks so delicious; apple crisp is a great fall dessert. This reminds me to make my rustic apple tart! Ooh yummy. I can almost taste it! Yummm! I can't wait to go apple picking and make delicious apple desserts. Nothing says fall quite like this! Yum!!! I cannot wait to go pick apples so I can make this! I've been making an amazing berry crisp that is similar!